பல கடந்தும் என் மனதின் ஒரு ஓரத்தில் ! பிரித்து காட்டுது எனக்கு இன்னும் ! கண்ட கனவிலும் இல்லை …இதுதான் உண்மை ! வேறு ! இது புரிய இத்தனை நாள் எனக்கு ! எதிர் கால கற்பனை எதிர்பார்ப்பு எதுவும் இன்றி ! நச்சு இல்லா காற்றை வாராணசியில் ! எனக்கு தெரியுது ஒரு விடிவெள்ளி ! இருக்க வேண்டும் வாராணசிக்கு இன்றும் என்றும் ! கங்கை நான் காரணமாக இருக்க வேண்டாம் ! மலரும் …தெரியுமா இது உனக்கு தம்பி ? தாமரை சொல்லும் செய்தி இதுவே தம்பி ! உன் வாழ்வில் ! அதுதான் உன் இலக்கு ! இலை தண்ணீர் போல இருக்க வேண்டும் நீ ! நீருக்கு பெருமை தாமரை மலரால் ! மறக்க வேண்டாம் இதை நீ ! Typewriter Art ….True or False ? …. An Analysis from Hoax Slayer ! The Amazing Typewriter Art of Paul Smith ….True !!! Message with a series of attached pictures claims that the pictures were created on a typewriter by the artist Paul Smith. The claims in the message are true. 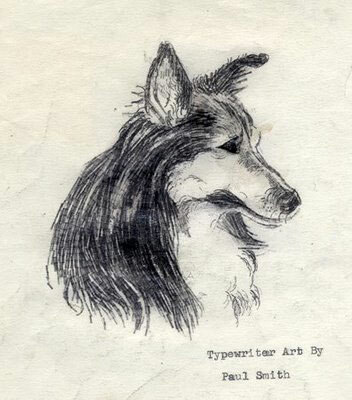 As stated in the email, American artist Paul Smith created all of his artwork using a typewriter. He passed away in June 2007. He lived at Rose Haven Nursing Home, Roseburg, OR, for years. This is incredible–especially when you finally get to the bottom and read the biography of the man who painstakingly accomplished these works! These pictures are unbelievable and amazing. Hope you enjoy them as much as I did. Typewriter Art Can you believe that this art was created using a typewriter? Paul Smith, the man with extraordinary talent was born in Philadelphia on September 21, 1921 with severe cerebral palsy. Not only had Paul beaten the odds of a life with spastic cerebral palsy, a disability that impeded his speech & mobility but also taught himself to become a master artist as well as a terrific chess player even after being devoid of a formal education as a child. When typing, Paul used his left hand to steady his right one.. Since he couldn’t press two keys at the same time, he almost always locked the shift key down and made his pictures using the symbols at the top of the number keys. In other words, his pictures were based on these characters ….. @ # $ % ^ & * ( ) _ . 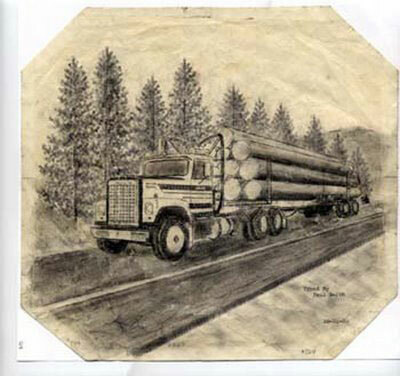 Across seven decades, Paul created hundreds of pictures. He often gave the originals away. Sometimes, but not always, he kept or received a copy for his own records. 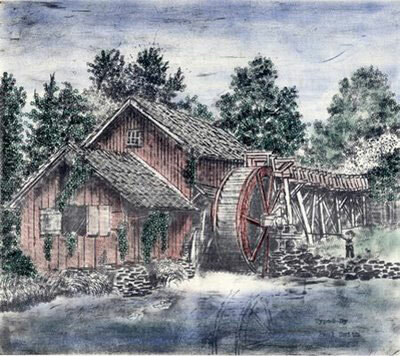 As his mastery of the typewriter grew, he developed techniques to create shadings, colors, and textures that made his work resemble pencil or charcoal drawings.” This great man passed away on June 25, 2007, but left behind a collection of his amazing artwork that will be an inspiration for many. This email forward, which features the work of artist Paul Smith, explains that all of the pictures were created using just a typewriter. The claims in the email are true. The extraordinary art of Paul Smith was indeed created on a typewriter and is now known all around the world. This inspirational man, who did not allow cerebral palsy to stop him from living a remarkable life, was an accomplished chess player as well as an artist. Paul was born in Philadelphia on September 21, 1921. He died on June 25, 2007 while a resident of the Rose Haven Nursing Center in Roseburg, Oregon. Across seven decades, Paul created hundreds of pictures. He often gave the originals away. Sometimes, but not always, he kept or received a copy for his own records. Be sure to visit the gallery at this site to see images of his pictures in detail. 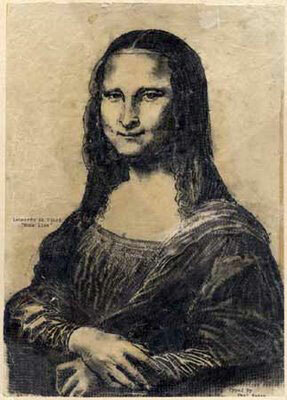 As his mastery of the typewriter grew, he developed techniques to create shadings, colors, and textures that made his work resemble pencil or charcoal drawings. It’s interesting to see how he gradually refined his use of perspective and coloring, and how his subject matter reflected the events and personalities of the times. An article on the Chessville website also provides an interesting insight into the artist’s life. சுமக்கும் தாய் அல்லவா அவள் ! அவளை கவனிப்பார் யாரும் இல்லை ! யாரோவாகிப்போன அவளுக்கு அதில் வருத்தமில்லை ! என்ன …அவள் எல்லை எது வரை என்று ?